ANALYTICS. ANOTHER WAY TO INTERPRET INFORMATION. Every infrastructure owner can benefit from Cactus Analytics for measuring operations with the ability to define key indicators for supervision, condition-based asset management and continuous improvement. What components have the best operational data, with regards to purchase cost and amount of maintenance? How does weather and traffic intensity correlate with the functionality of the track-side objects? Clustering (group data to search for similarities). Correlation. Compare anything with anything. Based upon analytics and real-time monitoring data from existing TMS and SCADA/DCS,Cactus Rail refi nes data to improve the rail infrastructure – without any need for additional sensors. This graph shows a point with undetected, abnormal switch time, 15 seconds during 30 days, this entailed a “run-to-failure” approach that created a disturbance of traffic and a higher cost for getting back in operation. Detection of switch time is done by using already existing “dark data” from the traffic management system. Good asset management practice is crucial to mitigating potential costs in overrun penalties, especially as shifting requirements can derail even the most effective planning. A principle illustration of possibilities in maintenance activities by applying analytics. 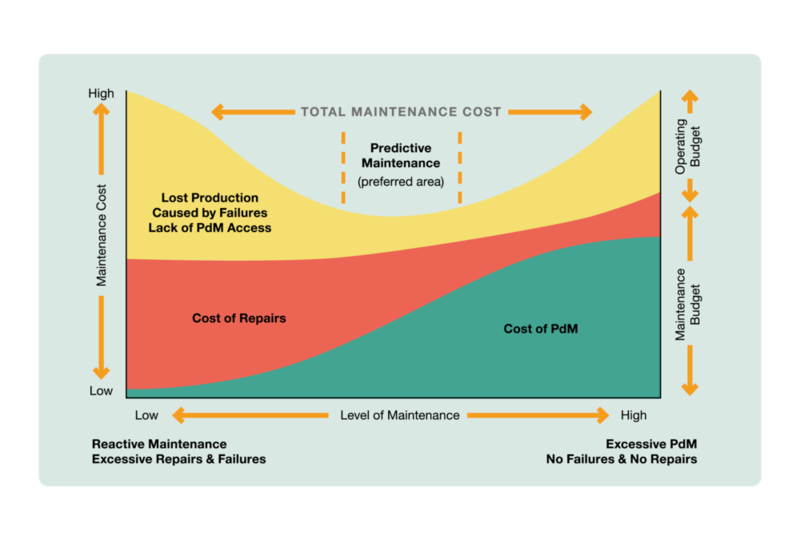 Predictive maintenance, PdM, relies on conducting maintenance based on trends within equipment data. This technology is tied to Condition-Based Monitoring, CBM, real/time systems for reading the output (condition) of an asset’s variables. Predictive maintenance is based on predicting when an asset needs attention rather than simply replacing a part when it could have lasted longer.